The Honors College is dedicated to providing high impact learning experiences to our students in and outside of the classroom. Through our study away programs, we afford students opportunities to enrich their intellectual development and intercultural learning. We offer these opportunities through off-campus domestic experiences or through study abroad led by our faculty and faculty partners. 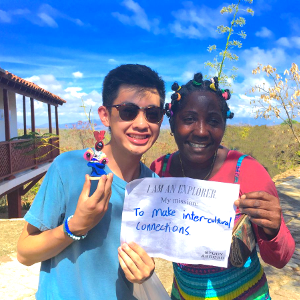 These experiences facilitate enhanced learning about different communities, cultures, and socio-economic and technical issues in a variety of settings while gaining honors credits. They are offered during October break, spring break, and over the summer. The Honors College seeks to create a new “signature program” that would become a unique and reliable part of the honors experience at Purdue University. 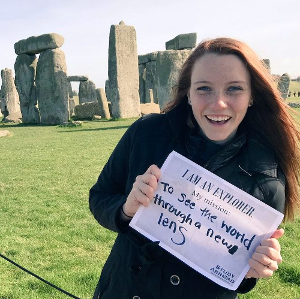 Our goal is to develop a sustainable international program that would offer rising honors sophomores the opportunity to study in another country, increase their cultural awareness, and earn honors credits while doing so. The inaugural course course in this program is Smart Cities: Rethinking Urban Space in the Digital Age. Alphabet INC., a parent company of Google, recently acquired the rights to construct a smart city in Toronto, Canada. This development plan promises to use technology to create a sustainable and data-managed urban neighborhood, raising excitement about the possibilities of a greener city and concerns over privacy, gentrification, and the privatization of public space. Students will read across the disciplines of urban studies, critical race and ethnic studies, and surveillance studies in order to assess Toronto's smart city initiative while exploring how technology and urban planning currently structure the lived experiences of Toronto's inhabitants. Through coursework, students will also consider the ways "smart homes" are transforming conditions of labor and leisure and investigate other smart city projects globally. The city of Chicago is synonymous with architectural feats of wonder. But as much as it is the setting for innovative design and poetic dwelling, it is also the scene of built problems, a city commonly criticized for its neglect of public housing as well as its segregative plans for urban renewal. This three-day course will engage with these issues through an immersive tour of architectural sites in Chicago. Day one will feature a general exploration of the city’s landmarks, including a boat tour of iconic lakeshore landmarks. Day two will focus on the work of famed architect Mies van der Rohe, examining his contributions to the Illinois Institute of Technology campus. Day three will move into the contemporary moment, with a guided survey of the work of Theaster Gates, an artist committed to rescuing buildings in the predominantly black Southside neighborhoods, turning them into communal spaces for creative endeavor. Examine Bram Stoker's Dracula while learning about the historical figure of Vlad the Impaler and how contemporary Romanians regard Vlad. Also become familiar with how the country deals with its various vampire legends and with the fictional depiction of their country in Stoker's novel. Visit such stunning sites as Sighisoara, Bran Castle (known as Dracula's Castle), and the Borgo Pass. Participating in village cultural celebrations while also learning about modern Romania rounds out this unforgettable experience. One side effect of the 2016 UK referendum on an exit from the European Union (popularly called "Brexit") has been a renewed tension over the question of the Irish border. The referendum poses a challenge to the Good Friday agreement, the set of policies signed in 1998 that ushered in an end to the decades-long conflict commonly referred to as the Troubles. Against this backdrop, this summer course will study the effects of decades of urban warfare on the built fabric of Ireland and Northern Ireland. From the barricades still dividing neighborhoods in Belfast and Derry/Londonderry to the murals dedicated to the victims of Bloody Sunday, we will examine the how the tensions between commemoration and reconciliation have played out across the surfaces of the region’s cities. To this end, students will study representations of the conflict in film and fiction, gain familiarity with the legal and political challenges of maintaining peace, and tour sites associated with the Irish War for Independence in Ireland’s capital, Dublin. This course will also feature excursions to such local attractions as the world-famous Titanic Museum, filming locations from the hit series Game of Thrones, the Book of Kells, the ancient monuments of Newgrange, and the mythic rock formations of the Giant’s Causeway. In this course we will explore the entanglement between geography, place, and narrative. As we visit multiple destinations in England, we will ask: how do spaces provoke certain kinds of stories? In doing so, the course will encourage students to consider the landscape of narrative‚ where are stories set, and how does their setting infect the plot maneuvers, the characters, and the language/tenor of a text? The texts under consideration will range from short literary pieces, painting, photographs, newspaper sketches, film and music. Therefore, we will be exploring all forms of story-telling fictional, visual, and aural. To this end, one of our central concerns will also be to make connections between the geographies and places in which authors wrote/painted/produced music, and the form and content of their production. How do we read the spaces in which artists resided into the fictional landscapes of their texts? How do these texts reflect the social and psychological meanings embedded in these spaces? Additionally, in visiting the homes/hometowns of British literary icons and cultural legends, the course will investigate the tourism industry and its fetishization of authorial sites. What does it mean to recruit cultural legacies into commercial tourist packages? How does the tourism industry produce its own modern stories to keep alive the stories of dead writers and artists? And conversely, what thrill and pleasure do we get from visiting, for instance, the parsonage in which the Bronte sisters lived, or participating in a Jack the Ripper tour of East End, in London? Finally, the course will be invested in gendering the British landscape, and tracing the relationship between the construction of gender and geography. How do women write space differently from men? How do England's stories construct gendered geographies? We're heading to London to research the built environment within the City and many of the surrounding boroughs. We'll center quality of life as we contrast the strength and splendor of the City's stone with the bucolic and beautiful setting of the Hampstead Heath. We'll dive deeply into loads of photos and documents on offer within the Bishopsgate Institute and the London Metropolitan Archives to develop an understanding of how the East End has gone from sad to hip. We'll take the tube to tour the cathedrals‚ and investigate the infrastructure that lies beneath the streets. Join us for a journey of a lifetime to map the varying milieux among the mews, mansions, council houses and estates within one of the world's leading cities. Location: London, Oxford, and Brighton, U.K.
“Italian Discoveries” combines two, 3-credit HONR courses, “Da Vinci’s Renaissance” (an investigation of interdisciplinary genius and of the scientific and artistic revolutions of the Italian Renaissance) and “The Art of Travel” (an exploration of tourism and a practicum in travel writing) into a seamless whole. The 3-week program also brings together the best of Italy, from the rich countryside of northern Italy’s Veneto region to the sun-drenched hills of Tuscany—from famous cities to small villages known only to locals. We begin in Paderno del Grappa, a small town in the Veneto, where we will spend a week in the country learning how to make pasta and tiramisù, feasting our minds on the works of the Italian Renaissance, and feasting everything else at local agristurismi (organic farm restaurants). We then move to Florence, the epicenter of Renaissance art and science, from which we will enjoy day trips to magnificent Siena and the most perfectly preserved medieval jewel of Italy, San Gimignano. We will spend our last week in Venice, living and studying on the small, exclusive island of San Servolo, the home of Venice International University. With the watery city as our text book, we will discover why this unforgettable city is unique in all the world. While we often think about regions of the world as distinct from one another, culturally as much as physically, everyday human experiences tend to blur geographic boundaries and challenge social and cultural categories. This is certainly true for migrants crossing borders, adapting to new places and societies, and facing struggles over belonging and inclusion. In this program, we study the experiences of Middle Eastern communities in Europe, some of which have been part of European societies for generations and some of which have arrived only recently, to consider how these communities both shape and are shaped by their new societies. In doing so, we study how they negotiate senses of ‚Äúhome‚Äù based in multiple locations and how they are affected by ongoing political debates about both Muslims and refugees in Europe. Our program begins in Berlin, Germany, where we focus on Turkish migration since World War II, and the program itself then migrates to Sweden (Malm√∂ and Stockholm), where we focus on migration that is more recent and from other areas of the Middle East. Complementing our readings and discussions are visits to sites and institutions important to migrant communities, as well as meetings with officials, activists, and community organizers. This new Maymester experience takes you on a multi-city visit through Colombia to study factors that contributed to the negotiated peace process of 2016. Colombia, once ravaged by a decades-long violent conflict, involving drug cartels and paramilitary groups, is now on a path to sustained peace and prosperity. These efforts at peace and security have been recognized globally with the Noble Peace Prize awarded to former President Manuel Santos. By participating in this program, you will examine the background of the peace process. You will examine the various forms of armed conflict Colombia experienced and the underlying causes as well as the war on drugs in Colombia. Importantly, you will interact with a resilient people and a rich culture that was overshadowed by the turbulent years. We will travel to Barranquilla, Bogota, and Medellin, where we will visit farms, museums, universities (Universidad del Norte in Barranquilla, Nacional in Bogota, and EAFIT in Medellin) for guest lectures, and other pertinent sites. You will receive credit for two courses: HONR 299: Non-State Actors and Political Violence and POL 231-H: Introduction to American Foreign Policy-Honors. At the end of this 21-day experience, you will understand the implications of US foreign policy, the root causes of conflict, and the complexities of peacebuilding. You will also hone your intercultural competencies by studying in a location that is culturally distant from the United States and whose national language is not English. These differences will challenge you to be more comfortable with difference, open-minded, and help you develop a mature worldview framework. Interested in learning about scholarship opportunities for studying abroad? Purdue has "Purdue Moves" Summer/Short Term Scholarships available to qualifying students. For more information, visit Purdue's study abroad information page. These scholarships are ONLY for students studying outside of the United States. "No matter how much you read, how many videos you watch, you won’t actually experience it until you go there." "It helps you think strategically, critically; you gain an understanding of the world." "I learned a lot about myself and learned to appreciate my own culture more, seeing how it contrasted with other cultures." "I was learning in a very hands-on way with people from every different major." "It really made me realize how small the world is and how connected we all are." "It’s very fun, super educational, broadens your horizons and gives you a greater view of what’s out there." Read scientific studies about the benefits of study away. JK Rowling’s Harry Potter series has provided a popular imaginative source from which to understand ourselves and the world around us. 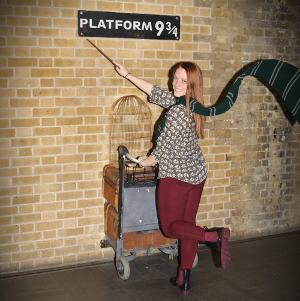 This course examines cultural and critical analyses of the Harry Potter literary works as a background to experiencing various locations in London and Edinburgh, which influenced the author’s stories and formed the basis of subsequent movie versions. Students are required to have read the seven novels prior to departure, to examine several critical analyses of the works, and to write responses to specific assignments. During the program, students will keep a journal of their experiences that addresses specific instructor-directed topics that include observations of and responses to the ways London and Edinburgh have reacted to the Harry Potter cultural phenomenon. Excursions to Stonehenge and Glastonbury and to memorials to witches burned in Edinburgh augment the course’s study of Harry Potter with readings on historical British attitudes toward wizards, witchcraft, and magic. Inventing Venice is a 2-credit immersive experience. “Inventing Venice” will take students to Venice and Padua, Italy, for March Break 2017 and will have as its textbook the city itself. Our focus will be on the Venetian empire, especially the world-changing transition from the Medieval period to the Renaissance that this region drove. We will consider art, architecture, music, and political history, and students will engage in cultural analysis of Venetian city life and spaces. To study jazz is to study away, to take one’s place in a boogaloo procession breaking out of the classroom and into the streets, the kitchens, the club, the porch, the hall. To study jazz is to trace a tradition that has itself traveled from Africa to the American South, from the South to the industrial North, and from there to corners the world. More than just a musical genre, jazz names a way of life, a means of recording history, a stump from which to express one’s personal needs and desires, a lab for the social production of culture. Along these lines, we will use the city of New Orleans and the style of New Orleans Jazz as a case point for understanding the music and culture of improvisation. We will explore the emergence of jazz music against the historical backdrop of the transatlantic slave trade and research the process by which a certain style of American music was solidified into a specific genre, known as jazz. Our immersive curriculum will allow us to participate in the social rituals surrounding jazz, and investigate the many art forms influenced by jazz, from fashion and the culinary arts to poetry and dance. Taking a socio-political approach, we will contextualize jazz within the larger framework of black liberation in America. And jazz will also provide us with a critical lens through which to understand our contemporary moment. Through music, we will examine the effects of Hurricane Katrina on New Orleans and the local efforts to rebuild the city. But most importantly, students will gain an opportunity to develop a critical acumen for appreciating live jazz performance. 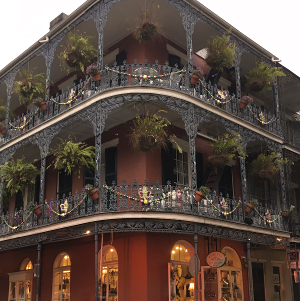 Although the trip will be carefully crafted to offer participants a once-in-a-lifetime tour of New Orleans and its musical heritage, we will be taking a note from the music itself and adopting an improvisatory spirit. Our goal is to follow the interests of the students and develop a truly organic set of learning opportunities. Interested parties can expect some version of the following: visiting numerous museums and cultural centers, participating in the tradition of the second line, touring the city’s iconic architecture and public spaces, learning the “secrets” of creole cooking, playing music with local performers, and listening to beaucoup live music. 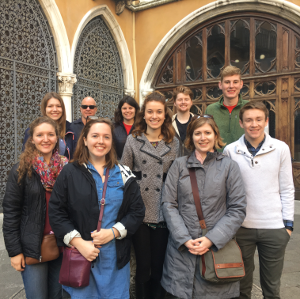 Students taking this Study Away course traveled to Romania with Honors College Assistant Dean Dr. Diane Facinelli, where they enhanced their learning about Bram Stoker’s Dracula, vampire legends and the historical figure of Vlad Tepes (Vlad the Impaler). They analyzed how contemporary Romania regards and uses historical and fictional accounts, by traveling to places detailed in the novel and those connected with Tepes. After spending a day in Bucharest, they traveled as a group to notable sites including Sighisoara, Castle Dracula, the Borgo Pass and Bran Castle. Explore the rich culinary and cultural background of France. Rather than pursue a harried schedule of packing every morning and unpacking every night, students on this course enjoyed the peaceful surroundings of a French villa (Villa Beaulieu) between daily excursions to local farmers’ markets, a vineyard, an oil press and a chocolate maker. Scientists have been baffled about the observation that the French eat delicious, rich food and yet their rates of heart disease are less than the rates of Americans. Student participation in a wine and cheese class, as well as cooking classes, aided in their exploration of the phenomenon called the French paradox. The course capitalized on the scientific and social issues surrounding this controversy, while simultaneously immersing students in the culture of French food and eating patterns. Students on this trip joined Honors College Professor Liz Brite in Peru, where they explored the diverse ways that humans interact with animals in different cultural and environmental contexts. They worked in collaboration with Peruvian graduate students to gain insight into the diversity and complexity of live in Peru. Highlights included incredible scenery, from the coastal desert, all the way up into the pure air of the Andes Mountains. An exchange program between the Purdue University Honors College and the Honors College at the Università degli Studi di Padova for two “Copernican Scholars” is set for 2016-2017. 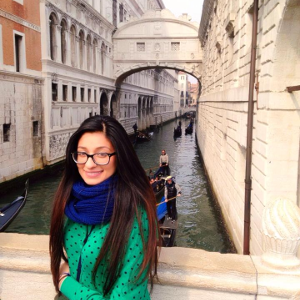 Scholar selections will be made prior to the end of May 2016, and the two students selected will serve as ambassadors for the Italian honors student, who will be studying at Purdue during the fall 2016 semester. The Purdue students will then study at the Scuola Galileiana di Studi Superiori (the Università’s Galileo Honors College) from approximately March 1—June 30, 2017. Classes offered cover all majors, are taught in English, and carry honors credit if taken through the Scuola Galileiana. Before students register for spring classes in Padua, the Honors College will work with Purdue departments to determine possible transfer credit. The Presidential Study Abroad Scholarship of $3,000 is available for students as well as an additional Purdue Honors College scholarship, which will further lower costs below that for a regular semester at Purdue.